Price Reduced. SellingRestaurants presents this Pizzeria which has a Beer & Wine License. This restaurant's city hall office recently disclosed to me that they finalized a contract with a developer to build in 2014 a waterpark themed 600+ room hotel directly next to this shopping center. This will surely make this restaurant a fantastic location with the traffic to the area and hotel. This restaurant's name and goodwill has a long standing reputation within the community for 15+ years. Much of their success has come from delivery services to many of the Hotels and residential buildings surrounding the community and Disneyland. Even with the economy Disneyland continues to draw thousands upon thousands of Disney customers annually which makes this restaurant a fantastic opportunity. If your worried about buying a restaurant and not having enough customers within the area, then worry no more because Disneyland provides a tremendous customer base. Plus the city of Anaheim has recently built many high rise luxury condo's and apartment complexes which is another customer base. A large percentage of the business is delivery service and cash based. The restaurant is situated in the corner unit facing a major boulevard in a plaza filled with several other restaurants which are not in direct competition. 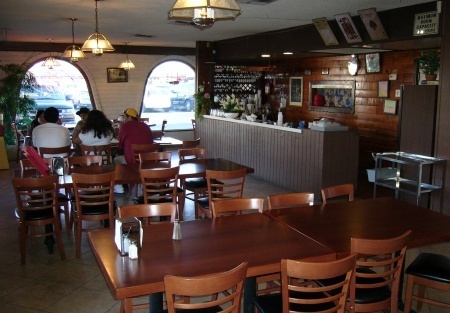 If you like the location but have your own concept, the restaurant can be purchased and changed to a different concept such as certain Asian concepts, bistro, BBQ, yogurt, cafe, Mediterranean, or many more. Landlord will have to approve a separate concept. Parking is ample. Lease expires December 2010. Landlord will offer a new lease agreement to buyer. Take the next step and complete the online confidentiality agreement and you�ll be provided with the restaurant name and address. Also you will given priority notification to new listings in the future, prior to the general public, giving you the best chance to �scoop in� the best opportunities. There are also more photos available to our registered buyers. Fantastic Lease Terms. Only $2.00 per square foot including CAM. Delivers to Many of the Disneyland Area Hotels. Great Revenue from Hotels!